2010 also marked the year that I was introduced to the high-end chicken dish. No more of those traditional marinated, grilled, or fried preparations that I’d been used to – no, no. Instead, “poularde” replaced the common “chicken” on upscale menus, and techniques like “slow-cooked” or “Hung for 3 days to intensify flavor” started popping up. In just one year this mild, overlooked, household meat transformed into a tender, moist, must-order entrée, and nobody did it better than Saison. 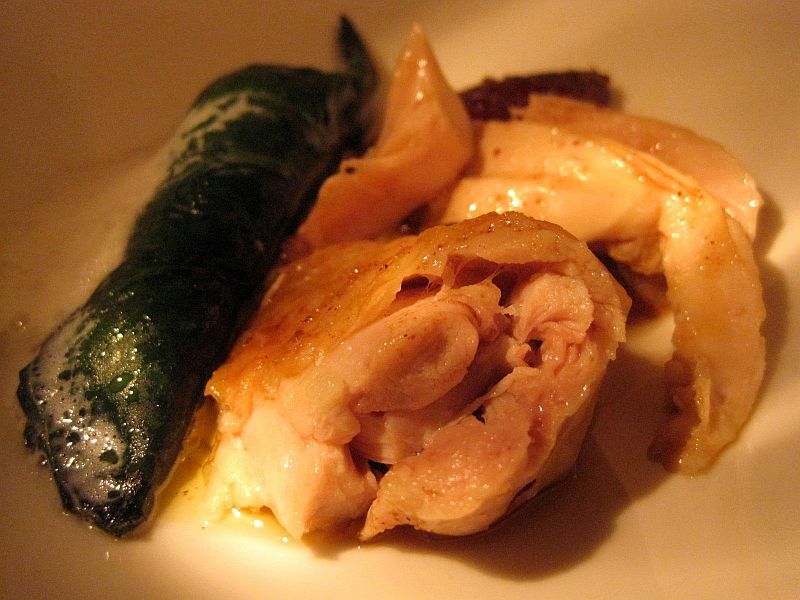 In 8 extraordinary dishes, it was the Whole-Roasted Poularde with berbere spices, smoked date milk, and roasting juices, paired with a chard leaf rolled with foie gras mousse, that stood out. Subtle but intensely flavorful, seemingly simple but incredibly complex to prepare, this dish was a perfect demonstration of Chef Skenes’ talent and culinary vision. To read more about the other dishes from my last meal, check out my short write-up of Saison. I agree - this was a remarkable piece of meat - a pitch-perfect ending to the savory portion of the meal. The only chicken ive had that rivals it was a slow cooked preparation at eleven madison park. And you're right, you dont see chicken as the last savory often, but saison nailed it.